When advertising for The Call picked up earlier this year, viewers most likely rolled their eyes and groaned at what looked like the latest unremarkable addition to the thriller genre. Flaunting a serial killer plot and superstar Halle Berry in the lead role, The Call initially seemed like Hollywood’s attempt to capitalize on the success of former suspense hits, such as The Silence of the Lambs or American Psycho. But then something unexpected happens. 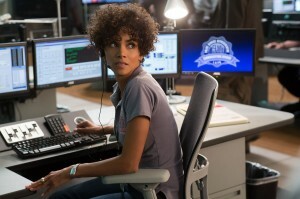 As soon as the film plays its intense phone call audio over the opening credits, viewers are catapulted into the buzzing world of Jordan Turner (Halle Berry) and what’s informally known as “the hive,” an office where fire, medical and police emergency hotlines meet at 911 help desks. 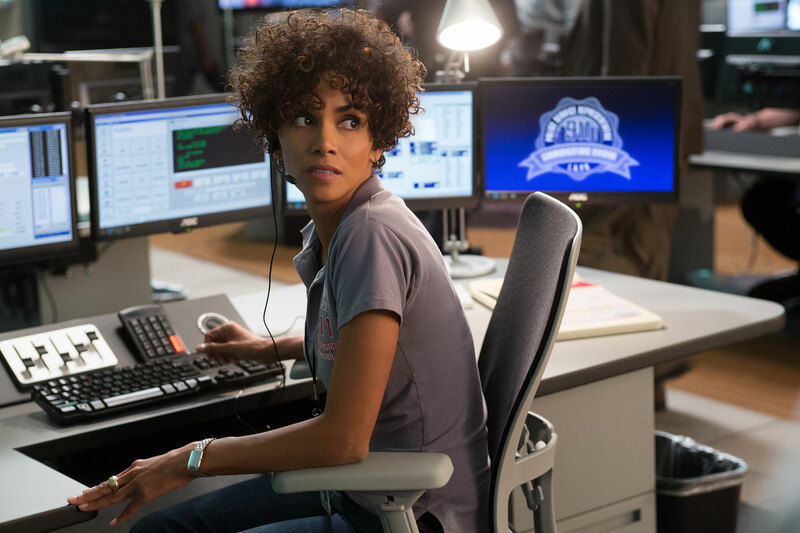 The Call follows Jordan’s intense but satisfying life as she balances a relationship with co-worker Officer Paul Phillips (Morris Chestnut) with the grueling demands of her job. When a careless blunder results in the death of a young 911 caller, Jordan tries to trace down a mysterious serial killer (Michael Eklund) before he can commit his next murder. The 96-minute film juggles themes of guilt and responsibility alongside its gritty premise and flinch-worthy images. Audiences certainly get their fair share of R-rated violence and suspense-genre conventions, but The Call’s script also explores darker topics, such as how we handle the moments before we die and how we live with the consequences of our actions. Still, the balancing act doesn’t seem too difficult for Berry and the rest of the cast. Berry easily steps into the role of the tough, yet vulnerable, operator with her emotive facial expressions and seemingly effortless screen presence. As she cuddles with her boyfriend, delivers a series of orders to trainees and coaches 911 callers through life-and-death situations, audiences recognize that Jordan is completely three dimensional, brought to life by Berry’s thorough understanding of the character. Though The Call is not her heaviest role, the Oscar winner reminds audiences that she’s not the sort of actress who relies on her pretty face alone. But the supporting cast members hold their own alongside Berry’s believable performance. Chestnut and Berry shine in their few moments onscreen together, giving off a tangible chemistry that defines their relationship in record time. Abigail Breslin brings audiences to tears with her full-fledged desperation in the trunk of the murderer’s car. Eklund’s Michael Foster, terrifies with detached facial expressions, unnatural posture and bizarre mannerisms to match his character’s unhinged mental state. For the first two acts, The Call’s cast and script drive the film emotionally as well as tonally. Audiences get attached to the charming characters while also questioning whether they will survive a series of unfortunate events that quickly diminish their chances of survival. That being said, it soon becomes obvious that The Call is a genre piece. The emotional authenticity of the film eventually gets lost among trite plot devices that leave frustrated viewers yelling at the screen. But according to the filmmakers, such artistic choices were completely intentional. Helfant’s completely right when it comes to the first production from Troika Pictures, the almost 4-year-old production company founded by Helfant, Robert Stein and Bradley Gallo. Based on the principle of financing, producing and distributing commercial films for specific audiences, Troika succeeds in paying homage to the forms of the suspense genre while also creating something refreshing and honest. The Call might provoke laughter from audiences annoyed with characters who lack basic common sense, yet it also remains completely self-aware, as it tackles familiar ground. The serial killer premise and Jordan’s final underground encounter with Michael call to mind Jodie Foster and Ted Levine in The Silence of the Lambs. But the film’s surprise ending rewards audiences by defying their expectations for the thriller genre; The Call’s final scene more than makes up for hackneyed moments where Berry drops her cell phone into Michael’s lair or decides to go in after him without police backup. The Call also excels stylistically. 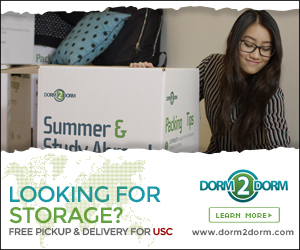 With School of Cinematic Arts alum Avi Youabian taking the helm as editor, the film flaunts a cohesive tone that complements D’Ovidio’s clean script. Youabian has no trouble providing insights into both Jordan’s guilt-ridden conscience and Michael’s twisted mind, as he carefully weaves together Tom Yatsko’s cinematography. He succeeds most, however, in his handling of sound in the film. Youabian and The Call’s sound design team layer 911 phone call audio over city montages, add the distant humming of bees behind the chatter of the hive’s emergency operators and carefully blend Breslin’s screams over Berry’s gentle voice. “[We really wanted] the sound design to be a character in the film,” Youabian said. From the stellar cast performances to the fast-moving script, The Call takes viewers on a suspenseful thrill ride through both familiar and unfamiliar territory. Though the film certainly has its flaws, it holds its own as one of the better interpretations of the suspense genre. It’s too bad it’s over before you realize it — some viewers won’t quite be ready to leave the edge of their seats as the credits roll.